>Here are some digital roughs for a series that I have been sketching about for a while now. I hope to have them all together and submit as a proposal to a local ski shop as a mural on the side of their building. 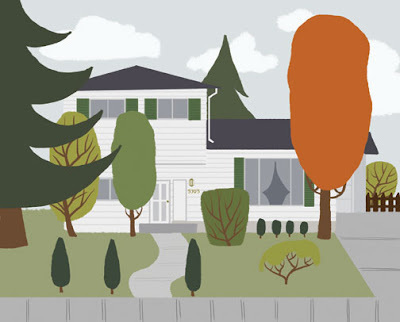 >Here is a small picture I did for a couple that recently moved out of the home that all of their children had grown up in. A small reminder of that home.